This press release is perhaps the single most explosive revelation ever covered by State of the Nation. 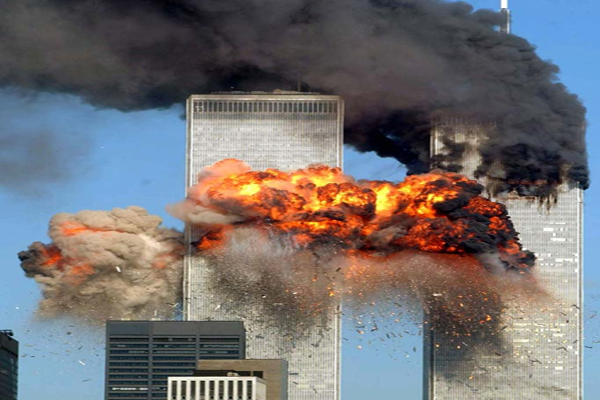 There is no story bigger than 9/11 as far as the U.S. Federal Government is concerned. Simply put, it is and has been their lynchpin. When the American people come to understand that the attacks of September 11, 2001 were in fact a false flag operation carried out by proxies of the U.S. Federal Government, everything changes. The transparent U.S. Government complicity in the coordination and coverup of the 9/11 crimes against its own citizenry has now been proven — UNEQUIVOCALLY — by mountains of scientific, circumstantial and anecdotal evidence. Only because the Mainstream Media (MSM) has relentlessly covered up this crime against humanity, for well over 13 years and counting, have the successive administrations been free from prosecution. That’s all about to change in 2015. President Vladimir Putin and the Russian Government have been pushed around and bullied, persecuted and prosecuted, for only defending their Motherland and their citizenry. The Western powers (a.k.a. the Anglo-American Axis or AAA) led by the USA and UK, Germany and France, Australia and Canada, as well as Israel have participated in one scheme after another in order to falsely implicate Russia for their (AAA) own crimes of genocide in the Ukriane, Palestine and elsewhere around the globe. How many fraudulent false flag operations is the CIA, MI6 and MOSSAD willing to carry out in order to falsely accuse Russia? How many false flag attacks will the AAA cabal conduct … against the innocent Russian- speaking civilians of the Eastern Ukraine? Or, against the innocent people from other countries like those nearly 300 passengers on Malaysian Flight MH17 that Kiev military jets blew out of the sky. How many coverups can they maintain before their delusions of grandeur and illusions of faded glory catch up with them? President Obama and VP Biden, Secretaries Kerry and Clinton, Senators McCain and Graham have each contributed majorly to the catastrophe that the Ukraine has become. George Soros and Zbigniew Brzezinski, Obama’s ‘illustrious’ unpaid foreign policy advisors have also substantially contributed to the diplomatic disasters that led up to the Ukraine civil war. All of these same players have likewise played significant roles in recklessly restarting the Cold War, as if the world doesn’t have enough to deal with during these tumultuous times. Now they (CFR, Trilateral Commission, Bilderberg Group, etc.) have pushed the Russians too far. Let’s see what’s in store for the the present and previous U.S. Administrations that have unrelentingly used and abused Russia since the breakup of the Soviet Union. The pattern of abusive statesmanship and economic terrorism began with the fall of the Berlin Wall in 1989. That represents over 25 years of exploitation and victimization that Russia has suffered at the hands of the AAA. How will these same AAA politicos and power-brokers respond when Putin starts disseminating authoritative evidence which proves — beyond any doubt — that the U.S. Administration was directly involved in the 9/11 attacks? Moscow (Pravda): American experts believe that despite the fact that relations between the US and Russia reached the worst point since the Cold War, Putin caused Obama only small troubles so far. Analysts believe that this “calm before the storm”. Putin is going to hit once, but he’s going to hit hard. Russia is preparing the release of evidence of the involvement of the US government and intelligence services in the September 11 attacks. In the list of evidence is included the satellite images from 9/11. Published material can prove the US Government complicity in the 9/11 attacks and the successful manipulation of public opinion. The attack was planned by the US government, but executed by using proxies, so that an attack on America and the people of the United States looked like an act of aggression of international terrorism. The motive for deception and murder its own citizens served US oil interests and the Middle Eastern state corporations. Russia proves that America is no stranger to using false flag terrorism against its citizens in order to achieve a pretext for military intervention in foreign countries. In the case of “the September 11 attacks,” the evidence will be conclusive satellite imagery. And then, how will the United States look in the world political arena? The validity of America’s position as a leader in the fight against international terrorism will be totally undermined thereby giving immediate advantage to the rogue states and Islamic terrorists. Anyone with half a brain .knows that the US government was involved. and who were the proxies. its so damned obvious that a six year old could work it out !! The evil little sect that runs the US will be exposed eventually and God help the world because these psychopaths have nuclear weapons [ Courtesy of the US no doubt. ] and wont hesitate to use them. They have the missiles to deliver them [ Courtesy of the US Again ?] A country that has become cancer on the morality of the ME and the US and probably most countries that has allowed them into their societies. they are without conscience or morals! !